If you have one or more consecutive missing teeth, a crown and bridge combination may be required. Missing teeth can weaken surrounding teeth causing loss of support to the lips and cheeks, while remaining teeth can drift out of position leading to a change in the bite, speech problems, loss of additional teeth, decay, and gum disease. Preventing these undesirable side effects and restoring a strong and complete bite is possible with crowns and bridges. 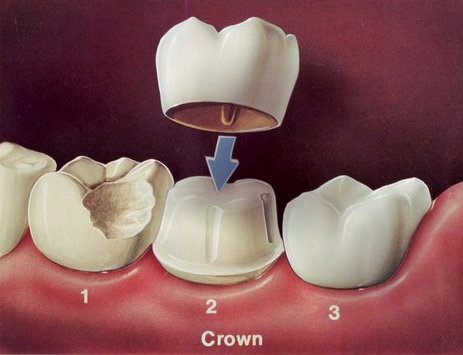 A crown is a permanent covering that fits over decayed , damaged or cracked teeth and helps to strengthen and protect. A bridge is one or more replacement teeth anchored by one or more crowns on each side and helps to maintain the integrity of surrounding teeth. Dr. Spelman can help you regain a confident smile by creating and fitting you with natural looking dental bridges and crowns.